Human Rights Activists News Agency (HRANA)- Almost one week after the hangings of Loghman Moradi, Zanyar Moradi, and Ramin Hossein Panahi (1), their fellow prisoners have written a letter to condemn their execution and relate the events leading up to it. Dated Wednesday, September 12th, 2018, the letter was written from the Rajai Shahr Prison grounds in Karaj, on the western outskirts of Tehran, where the men were last known to be held. “The tragedy happened Saturday, September 8th. As of Wednesday the 6th, [the mens’] prison visits were stopped, and on different pretexts, their comings and going within the prison, even to the clinic, were restricted. First they called Zanyar, then Loghman, up to the [prison] director’s office. Up to that point, nothing seemed out of ordinary. We paid little attention to the silence of our adjacent ward, which was usually abuzz. Silence meant that inmates there had been denied their courtyard time. Up until 4 p.m. that day, the absence of Zanyar and Loghman did not strike us as abnormal. At 4:30 p.m., though, we started to worry. When looked at all together, the anomalies of that day felt like the pulse of something sinister. Then we were told that a truck had collided with a telephone cable, resulting in a service outage; a story we had heard before at around the same time a criminal act was about to take place. Hearing it again concerned us even more. Our only hope was that flaws had been found in their case, and that it had just been transferred to the Sanandaj Prosecutor’s Office to assign jurisdiction. In other words, we were clinging to the hope that their criminal case was not yet closed. Little did we know that rulers with snakes on their shoulders (2) were hungry for young brains, and that the court and judiciary of Zahakis are blind to the rule of law and due process. When the sun sets on a dictatorship, the execution and massacring of prisoners is due course. Such are the workings of fate. Miserable are those who, in face of these murders, will retreat in fear. Should that happen, the criminals will only gain resolve in their misdeeds. Cowardice conveys to them that the people can, and will, abide crime. Blessed are those who accept Zanyar, Loghman, and Ramin as their own children, children who were hanged in the prime of their youth to uproot the scaffolds and the gallows, to restore a clear skyline for the future. Us prisoners and co-inmates of the fallen, we brace ourselves for this next, and hopefully last, wave of executions. What greater honor than to be among the last executed, to know that no young people after us will be forced to walk those gallow steps again. If there were one single reason (although there are many) that this regime is incorrigible and will not be reformed under any circumstances, it is its killing of our nation’s noblest youth, like Zanyar, Loghman, and Ramin. And so to those delusional people who put us on guard of how things would “get worse” [should the regime be toppled], we have to ask: what situation could conceivably be worse than this? As fellow inmates of these three courageous martyrs of the gallows, we condemn their executions as criminal acts, and extend our condolences to their families. We have faith that their spilled blood will rattle the gates and guide a fettered nation to the dawn of freedom and justice. Human Rights Activists News Agency (HRANA) – Iranian authorities continue to detain members of the country’s Kurdish minority, in mounting tensions sparked by the September 8th execution of Kurdish political prisoners Zanyar Moradi, Loghman Moradi, and Ramin Hossein Panahi. Since September 11th, seventeen civil and political activists have been arrested by security forces in the Kurdish cities of Sanandaj, Marivan, Oshnavieh, Sardasht, and Ravansar. At least twelve were released on bail in the past 24 hours, while the whereabouts or statuses of the others remain unknown. Earlier this week, Kurdish activists and political parties rallied on social media for a general strike in response to the untimely deaths of Moradi, Moradi, and Panahi, who were hanged to death in dubious circumstances on September 8th, according to HRANA reports. Security attentions have since zeroed in on Kurdistan, Kermanshah, and West Azerbaijan since merchants of these provinces went on strike to protest the young men’s hangings, protests which are being met by civic arrests and spray-painted threats onto the merchant’s shuttered shops. The omnipresence of security forces in various Kurdish cities, particularly in the wake of the executions and IRGC’s recent missile attack on Kurdish political parties, has contributed to a growing sense of insecurity for Iranian Kurds. There is still no update on the whereabouts of Jafar Rasoulpour, who was arrested on September 11th in Sardasht, West Azerbaijan Province, nor on Bagher Safari, age 60, who was taken away on Wednesday September 11th by security forces in Ravansar, Kermanshah. Khaled Hosseini, Mozafar Salehania, and Mokhtar Zarei, who were arrested by security forces in Sanandaj and transferred to the Central Prison of this city on Tuesday and Wednesday, have reportedly been released on bail. Suran Daneshvar and Aram Fathi, two other activists arrested on Tuesday in Marivan, have been transferred to the detention center of the Islamic Revolutionary Guard Corps (IRGC). Eight other Marivan arrestees have since been released on bail: Moslem Bahrami, Mohammad Azkat, Dalir Roshan, Ahmad Tabireh, Nishervan Rezaei, Nooshirvan Khoshnazar, Aram Amani and Ahsan Partovi. Oshnavieh resident Rashid Naserzadeh was also detained on Tuesday, and released on bail a few hours later. On September 13th, HRANA reported on the arrest of 13 civil activists in the Iranian Kurdish cities of Marivan, Oshnavieh, Sardasht, and Ravansar in connection to the merchant strikes. That day, Soraya Khadri, a civil activist from Sanandaj and a member of Kurdistan’s Rojyar Charity Foundation, was arrested by security forces and transferred to an unknown location. Though the reason for her arrest has yet to be confirmed, it is suspected to be tied to the strike crackdown. Zanyar and Loghman Moradi were put on death row after Iranian authorities accused them of murdering the son of a Friday prayer leader in Marivan, a charge they have always denied. 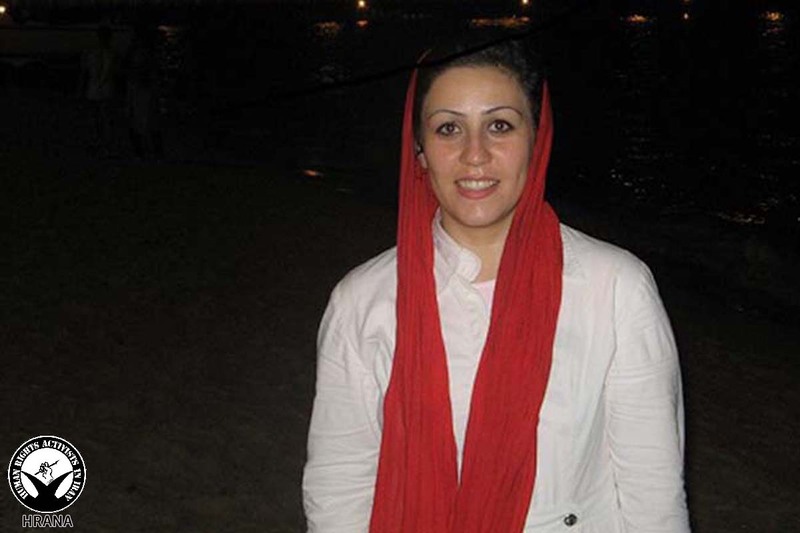 Censured by human rights organizations from the outset for its shoddy documentation and lack of evidence, the Moradi’s case was still incomplete at the time they were put to death. The Moradis wrote an open letter, published in May 2017, detailing their ordeal along with case facts they alleged were constructed by the Ministry of Intelligence. The letter also described torture they experienced at the hands of authorities. Ramin Hossein Panahi, the third executed Kurd, was tried and sentenced to death by Branch One of the Revolutionary Court in Sanandaj on a charge of “acting against national security by violating the rights of others” on January 16, 2018. His sentence was upheld in mid-April by the Supreme Court before being forwarded to the Execution of Sentences Unit. Eventually, these three Kurdish political prisoners were executed on the morning of Saturday, September 8th, after having been transferred to solitary confinement in Karaj’s Rajai Shahr Prison. 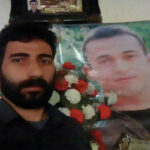 Human Rights Activists News Agency (HRANA)- Following the execution of his brother Ramin, political prisoner Afshin Hossein Panahi has expressed his gratitude and solidarity in the form of a letter, addressed to an international community which continues to champion the memory and cause of his late sibling. 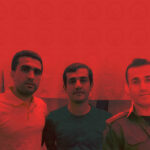 At an undisclosed location in Tehran province on September 8th, Ramin Hossein Panahi was hanged to death alongside Zanyar Moradi and Loghman Moradi, without notice to their respective families or lawyers, and pursuant to a legal process on which human rights organizations had already cried foul. Once the brothers were hanged to death, their families received threatening messages from the Ministry of Intelligence and were refused the right to inter their bodies. In the wake of these executions, residents and merchants of several Iranian cities where Iran’s Kurdish population is highest– particularly in the provinces of Kurdistan, Kermanshah, and West Azerbaijan –went on a general strike. In response, civil activists in the cities of Sanandaj, Marivan (Kurdistan), Oshnoviyeh, Sardasht (West Azerbaijan), and Ravansar (Kermanshah) have been taken into custody. Seven political detainees at Evin Prison, including Atena Daemi, Nasrin Sotoudeh, and Golrokh Iraee, have written letters to express their condolence to the families of Moradi, Moradi, and Panahi. Philip Luther, Amnesty International’s Research and Advocacy Director for the Middle East and North Africa, has also condemned these executions. I am thankful and grateful for your unfaltering efforts and support over the past year in trying to stay the execution of my innocent yet audacious brother. I have a heavy heart and tearful eyes in my grief over the loss of Ramin, who died with dignity. He was proud to fight for the freedom of those who would *later rise in [his] defense and honor, those who have peacefully troubled the foundation of despotism. Fettered in prison, I am no free man. Notwithstanding my innocence, and my faith in the righteousness of the freedom march, I suffer pains common to all Iranian civil and political activists, and my demands have become one with theirs. I demand my rights be realized, and I will not rest or falter until they are restored. I am infinitely thankful to those comrades who strive to raise the voice of Iran’s political hostages. Let it be known that the strength of our pact and the spirit of our fight will prevail. 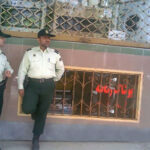 Human Rights Activists News Agency (HRANA) – Kurdish merchants in Iran’s Kurdistan, Kermanshah, and West Azerbaijan provinces have shut down shop and gone on strike, heeding a call from Kurdish activists to organize a rebellion in response to the recent execution of three Kurdish political prisoners. Loghman Moradi, Zanyar Moradi, and Ramin Hossein Panahi were hanged to death in dubious circumstances on September 8th, sparking international outcry and rebuke from the UN High Commissioner for Human Rights. 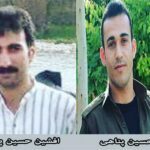 Kurdish opposition parties reacted to the untimely deaths of Moradi, Moradi and hossein Panahi by sounding the call to strike through Kurdish regions of Iran, inviting fellow Kurds to protest their comrades’ executions, HRANA previously reported. The Kurdish shop owners began staging strikes September 12th, which have thus far led to the arrest of 16 political and civil activists in the Iranian Kurdish cities of Sanandaj, Marivan, Oshnavieh, Sardasht, and Ravansar. In addition to civic arrests, security forces have responded by spray-painting threats onto shuttered bodegas. 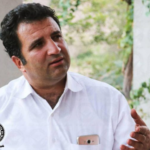 On Tuesday, Labor activist Khaled Hosseini was detained by security forces in Sanandaj–the Iranian city with the largest Kurdish population–along with Mozaffar Salehnia and Mokhtar Zarei, who were arrested one day later. All were transferred to Sanandaj Central Prison with a bail set at approximately $8000 USD (800 million IRR). Meanwhile, the western border city of Marivan is experiencing the brunt of the crackdown: Moslem Bahrami, Suran Daneshvar, Aram Fathi, Mohammad Azkat, Dalir Roshan, Ahmad Tabireh, Nishervan Rezaei, Nooshirvan Khoshnazar, Aram Amani and Ahsan Partovi were all reportedly arrested there Tuesday. 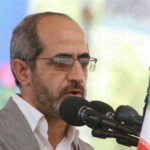 Jafar Rasoulpour was arrested the same day in Sardasht, West Azerbaijan Province. Bagher Safari, age 60, was taken in Wednesday by security forces in Ravansar, Kermanshah. Zanyar and Loghman Moradi were put on death row after the Iranian authorities accused them of murdering the son of a Friday prayer leader in Marivan, a charge they have always denied. Censured by human rights organizations from the outset for its shoddy documentation and lack of evidence, the Moradi’s case was still incomplete at the time they were put to death.